A big statement in a small package, this classically styled Emily Mini Crib designed by Da Vinci is the perfect answer for smaller nurseries and studio homes. Left and protected in its natural state, this crib has adorable old world charm with today's features. 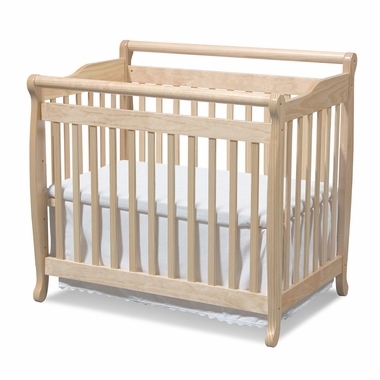 Covered in a non-toxic clear finish, this crib is safe for your baby when they get to the teething stage. A perfect match if you already own the standard size, get this one for grandma and grandpa?s home for a familiar and peaceful sleeping space away from home.